We love tempeh and tacos so this was a perfect dinner for us! I have made tacos with soy crumbles before but decided to grate tempeh this time and it was sooo good! YUM! Sauté onion, garlic, bell pepper and jalapeño in olive oil until soft. 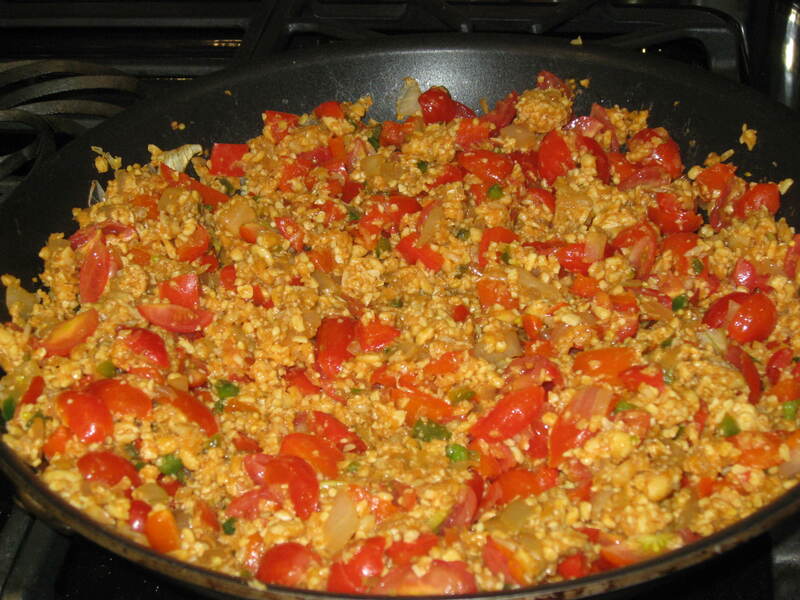 Add tempeh and continue to sauté for 2 minutes. Add seasoning, salt, and water. Cook the mixture 10 to 25 minutes, until enough liquid evaporates. 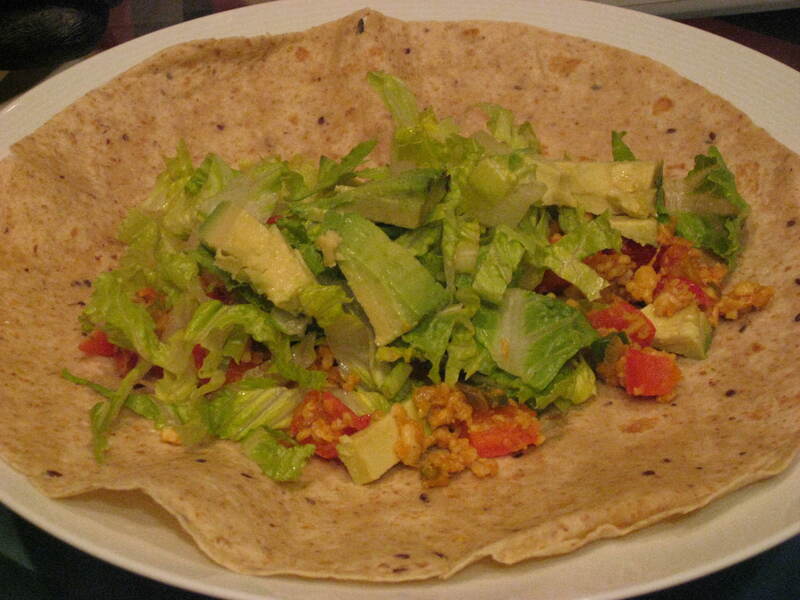 Fill each tortilla with 2 or 3 tablespoons of tempeh mixture and your choice of add-ins.